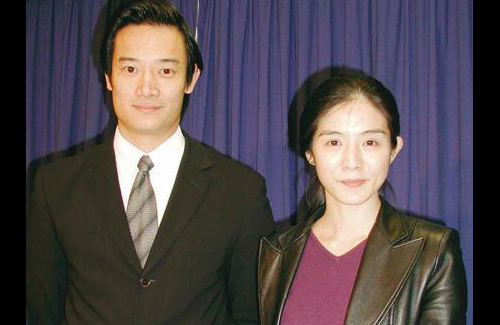 Hong Kong actress, 39-year-old Charlie Young (楊采妮), has announced that she will tie the knot with her longtime boyfriend, 43-year-old Singaporean lawyer Qiu Shaozhi (邱韶智), this Saturday, November 2, 2013 in Singapore! Charlie and Shaozhi began dating in 1997, when Charlie decided to put her acting career on hold to start a business with Shaozhi. In 2003, the couple announced their breakup, and Charlie returned to the entertainment industry in full force. They reconciled in 2011. According to the source, Shaozhi had proposed to Charlie in 2011, but the Cold War<寒戰> star was too occupied with her directorial debut Christmas Rose <聖誕玫瑰> at the time, and rejected him. He attempted to propose to Charlie several more times the following year, but she turned him down. On the opening day of Christmas Rose, May 23, 2013, which was also Charlie’s 39th birthday, Shaozhi proposed to her one last time, which Charlie immediately accepted. Charlie and Shaozhi’s modest wedding reception will be held at the W Hotel in Singapore this coming Saturday. Charlie invited 20 of her closest friends in the entertainment industry to attend, including Gigi Leung (梁詠琪), Chilam Cheung(張智霖), Anita Yuen (袁詠儀), Aaron Kwok (郭富城), Valen Hsu (許茹芸), Oxide Pang (彭順), Angelica Lee (李心潔), Tsui Hark (徐克), Nansun Shi (施南生), Jacob Cheung (張之亮), Wing Shya (夏永康), Chiu Fu Sheng (邱復生), producer Ko Fu Hung (葛福鴻), and Charlie’s manager Yao Yi Chun (姚怡君). Keeping the wedding as private as possible, Charlie did not send any formal wedding invitations, and only notified her friends about the wedding through a simple phone call. She completed her wedding photo shoot within a day and personalized her wedding favors. The wedding guests will be flying to Singapore on Thursday and Friday. The wedding banquet will be held at the same five-star hotel. 15 comments to Charlie Young to Get Married this Saturday in Singapore! This totatlly reinforces my suspicion that all negative Chinese celebrity gossip is FAKE. Wahhh – think about all the nice things that mean are true about Seng Lung et al. WOW. Celebrities are government operatives. I wonder why Nicky Wu and Takeshi Kaneshiro were left out of the guest list. LOL! What, Charlie was only 23 in 1997 when they first met? She started a beauty business in Malaysia in that same year and set up shop in KLCC, at the twin towers, until she broke up with him in 2003. Never know they are back together again. Cheers to Charlie. Her bf can sure wait, 10 years and counting… heheh, definitely worth him and her too. jesus christ she has aged! Women always age faster than men which is why those traditional folks are against older women younger men relationship. ^The above statement has no scientific basis. In fact, accepted research finds prove that both genders on average age at the same rate physically. What led to this “double standard” is perception. Most societies, especially Asian ones, has higher expectation for women to look young and any signs of “aging” are magnified in larger proportions than their male counterparts. That is just what I think based on my observations so I did not imply that it is scientifically true. That is what my parents think so they were always against jiedi type of relationships, but then again it is because my parents are very traditional. That’s why it is important for us to think for ourselves instead of being “brainwashed” by these ignorant and irrational “traditions and superstitions” . So happy for her. Didn’t know they got back together again. I hve seen them before from afar years ago. He was also a member of a Members Club Very good looking in person. Charlie was pretty too. Congratulations to them. May they hve a blissful marriage. Wow, good for her and I didn’t know they got back together again. Congrats. Didn’t know they were back together either. Last heard, broke up and remained ‘friends’ but eventhat seemed like some media lip service. I thought they fell out because of the business. Anyway, hope they will have many blissful healthy years together for the rest of their journey, and always remain the best of friends with each other. charlie is still pretty young looking. just coz she’s not wearing makeup in THAT photo, you all call her old looking. geez that’s what we all look like without makeup in front of the mirror!